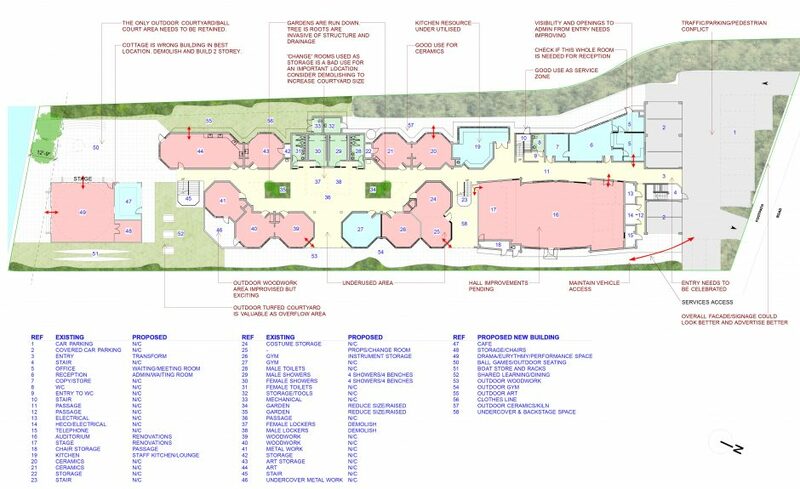 In 2014 BJA were invited to prepare Masterplans for the Honolulu Waldorf Schools two sites. The primary school site was once owned by the great King Kamehameha 1 and the school established in 1961. Most of the facilities are now too small and not fit for purpose so our challenge was to improve the existing spaces and site new buildings to meet contemporary teaching practices. As an alternative to an enclosed school hall we proposed a covered stage with outdoor seating under a magnificent Monkey pod tree. The second school site is a rented waterfront property with an unusual 2 storey hexagonal pod building which houses the high school. BJA reviewed the schedule of facilities, reorganised the classroom layouts and sizes whilst establishing improved circulation, entries, use of facilities and common spaces.